Do you need to communicate with your volunteers about your Volunteer fundraising program? EverTrue has a couple of ways that you can communicate with them depending on your needs. If you want to encourage volunteers to work together and share tips during their outreach, Option 1 is better! If you want to send a one-to-one communication with a volunteer, Option 2 is more appropriate. If you can't decide, you always have the option to use both. 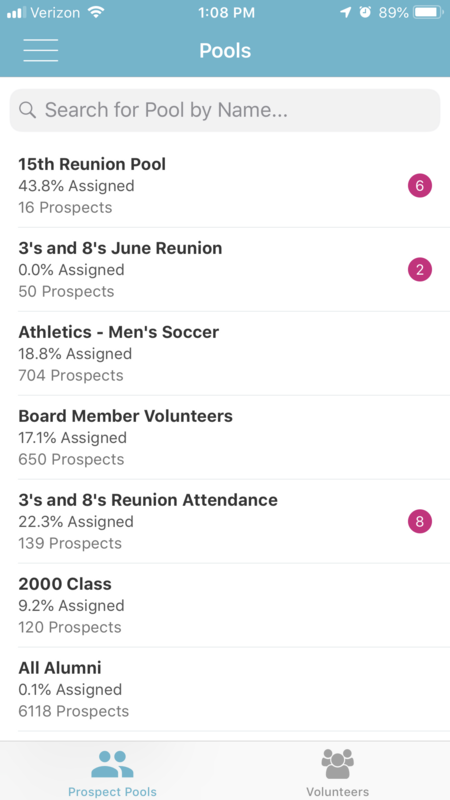 Looking for how volunteers can message their prospect assignments? Check here. 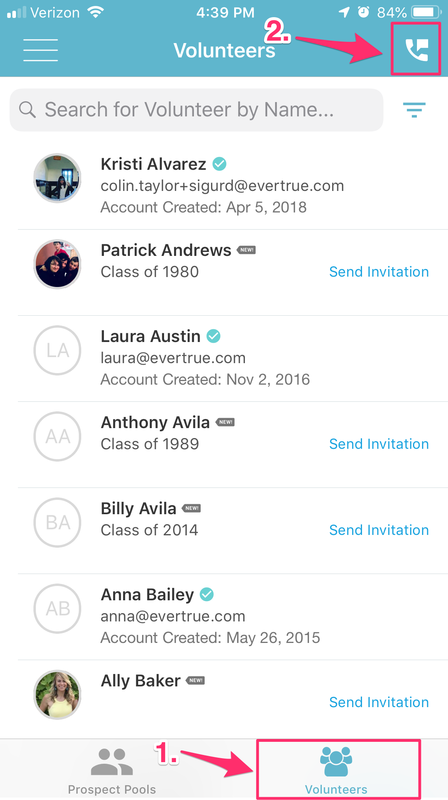 Within the EverTrue and Volunteer by EverTrue iOS applications, each pool has the option for a group chat. Both admins and volunteers can send messages to the group chat with their fellow pool members. 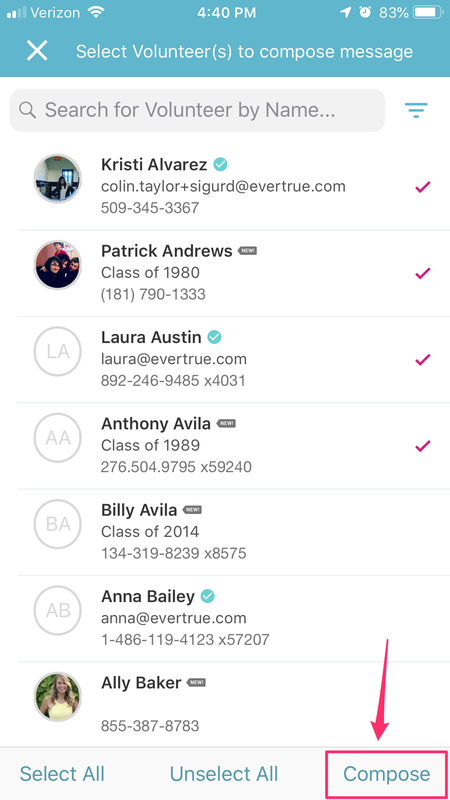 Admins can click on a pool from the EverTrue iOS app and be taken directly into the chat. Admins will also be able to see how many messages there are in each pool. 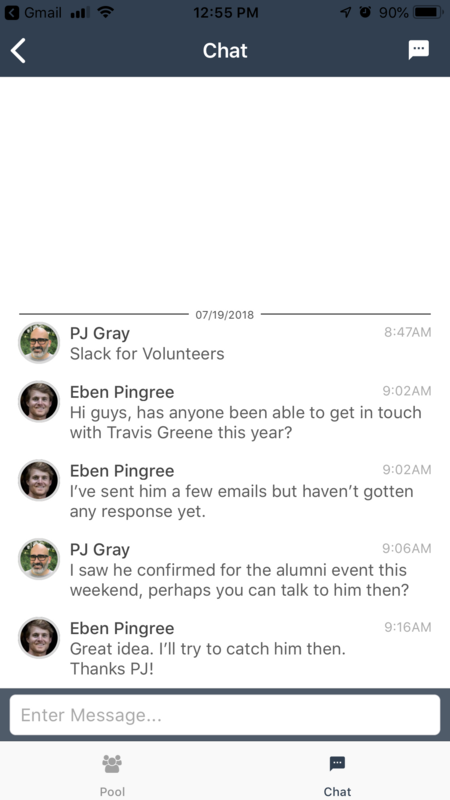 Your volunteers will see the chat in the Volunteer by EverTrue iOS application. When they enter their pool, they should look for the "Chat" section on the bottom right of the screen. Messages cannot be directed at an individual and are visible to all volunteers in that pool. 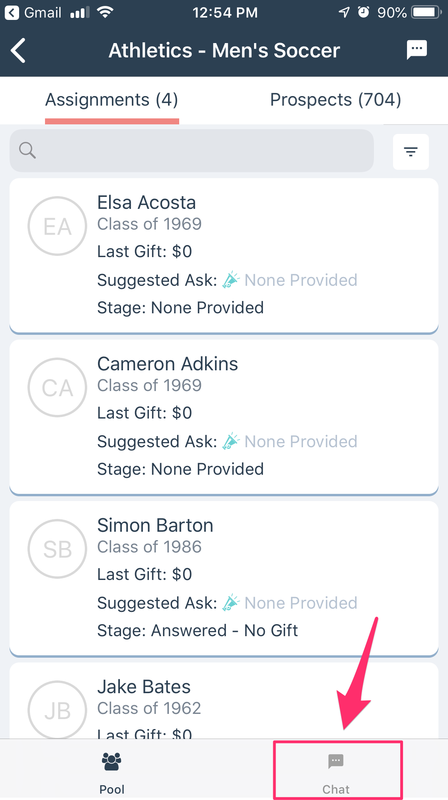 In the EverTrue iOS application, you can choose from a list of volunteers and initiate a group text message. Begin in the Volunteers tab, select the Volunteers section, and then find phone message icon in the top right corner of the screen. 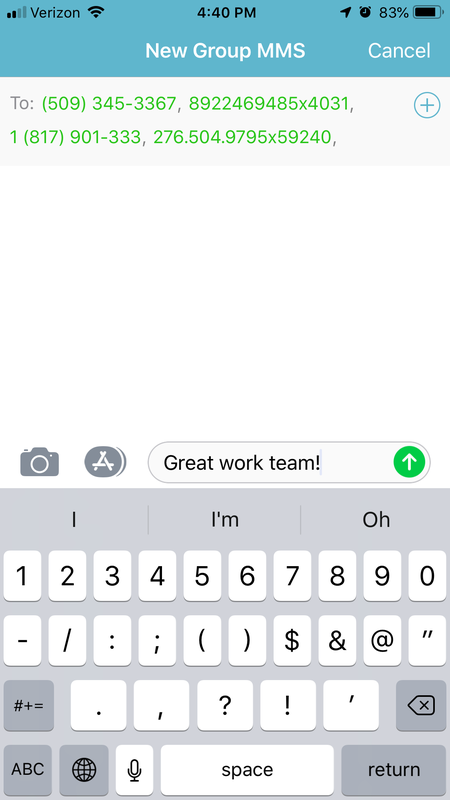 Tap on the names of the volunteers you want to message, and then press Compose in the bottom right corner. Please note: you must first select recipients for the message before composing your message. The text does not come from the Volunteer by EverTrue application, nor does it log that the text was sent in there. You can choose any volunteers across all pools to be recipients of this message.